RK's Metal Construction has been in operation for 17 years and has grown from a residential eavestroughing business to a leading provider of quality pre-engineered metal structures, metal siding and flat and built-up roofing, offering full contracting services from concrete, electrical, mechanical to design and engineering. 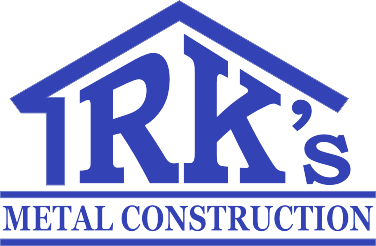 RK’s Metal Construction has been in operation for 17 years and has grown from a residential eavestroughing business to a leading provider of quality pre-engineered metal structures, metal siding and flat and built-up roofing, offering full contracting services from concrete, electrical, mechanical to design & engineering. Our durable and versatile metal steel buildings are the best choice for commercial buildings, industrial steel buildings or warehouses, storage buildings, and residential steel buildings including workshops and garages. We have provided large scale services to surrounding mines and industry in the north as well as local businesses and residential clients. For more information on any of our services, please contact one of our team members! !